Third Eye Graphic Solutions - Now Offering Webmaster Services! Every business needs to have a website but not all business owners have the time to maintain them. We are here to help take care of the things that you don't have time to handle! Spend more time focussing on what you are the best at and leave the rest to us. Instead of spending hours each month working on your website, get back to spending your valuable time doing what you love! Wether you are a fashionista or a folk singer. A candy maker or a car service pro. My bet is that you would much rather be creating your sweet treats or fixing sweet rides than adding content to your website or creating new banner ads for your marketing campaign. Let the Third Eye Graphic Solutions team of e-commerce and website maintenance experts help keep your site up-to-date and running smoothly. We can take care of items like (but not limited to): Site Population, Content Creation and Management, Creating/Updating Product Listings, Photo Editing, Graphic Design, Platform Training, Minor Coding Adjustments, Blog and Social Media Posting, Creating/Maintaining Landing Pages and so much more. We would usually have you supply us with a "To Do" list at the begin of the month so that we can plan accordingly to complete the required tasks during the monthly terms of your plan. Don't have specific items for this month, reach out to use when you do. Have an emergency come up that needs addressed right away? We can usually have these items addresses by next business day (if not sooner)! Commit to one hour a month and get a locked in $75 / hr rate. 5 hours of webmaster time to use as you need on your site. Equal to one full day of maintenance / consulting each month. Save $30 / hr by committing to 10 hours of maintenance a month! What Is Covered In A Monthly Webmaster Plan? What about building a new site? Can I do that? Of course, but you'd need a separate quote for that. We offer development packages that would cover all your needs in this area. 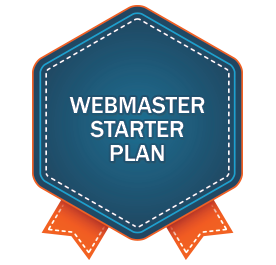 Webmaster plans are intended for ongoing maintenance. Please visit our Website or E-Commerce Solutions pages for more information about our custom design and development packages. Can I use my monthly hours toward coding updates / new featured for my website? We would need to discuss your needs/requests before hand to get all the info. Becuase we would need to bring in our coding team to complete these types of tasks, most times we would apply your monthly fees toward the full/quoted price of any coding updates / new features / custom functionality. Can I save my hours if I don't use them? Yes you can! You can "bank" up to one months hours before they would need to be used. Prepaid plans / hours are non refundable and hours can only be applied in the form of account credit. If you get to the point of "banking" your previous months hours, you would begin to loose the previous months on the 1st of the next month. If you are not using your plans monthly hours, maybe it is time to discuss downgrading your plan. Can these package be used on a weekly/bi-weekly basis? Yes the can (and we would love it)! What would happen is that you would lock in the rate of your package no matter how many additional hours you need us to work. For example, if we discuss working 5 hours every other week (bi-weekly), you would be billed for our Advanced package bi-weekly. The next block of work would only begin once invoice for upcoming week is paid. If you have further questions before placing your order, please complete the form below and we will reach out to answer any questions you have. We look forward to working with you!